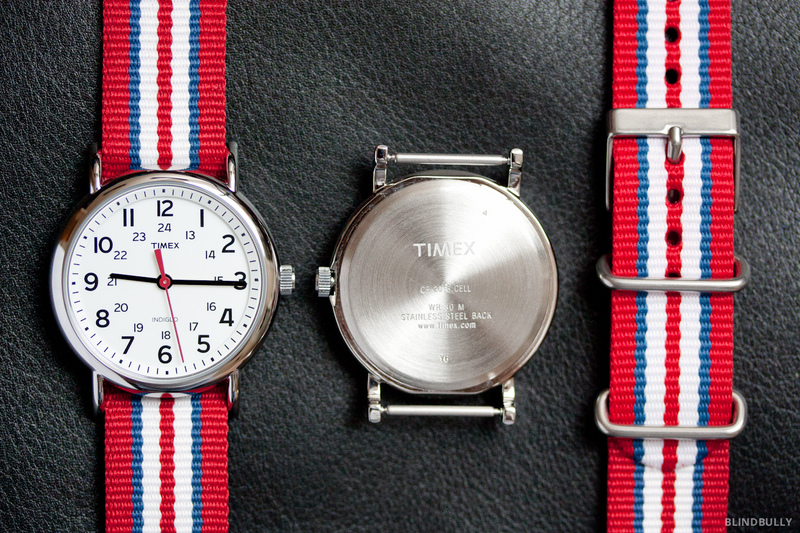 Timex Weekender Watch with Red, White, & Blue 20mm Nylon Strap (T2N746). $50. Purchase. UPDATE August, 2016: I no longer believe in the Timex Weekender. Firstly, they’re very loud at night, so much so that I have to take the watch off and hide it under an object so as not to be able to hear it from bed. Secondly, two weekenders have broken, both with the same issue: the indiglo stops working. As such I’ve moved on to Seiko Automatic watches, which out perform on all levels. The Timex Weekender is a handsome and practical watch. It doesn’t have complex movements, it won’t be on your 10th anniversary wishlist, and it’s not for show, but it’s durable, waterproof, stylish, and affordable. It’ll even bring you back to childhood memories with it’s classic Indiglo back light for times when you’re out after dark. There are numerous bands available, however this red, white, and blue will never be out of fashion. For a quality watch that you can actually wear to the beach there’s no going wrong with the weekender. Hario Buono V60 Pour Over Kettle in 800ml (27oz). Japan. $50. Purchase. appeal, however I wish the designers had found a way to include a whistle for early morning multitasking–although this could be a peaceful benefit for those with early rising partners. If this is the case and the environment is quite it is possible to hear when the water is boiling, as the lid will begin to dance in it’s loose fitting, creating a faint but noticeable jingle. 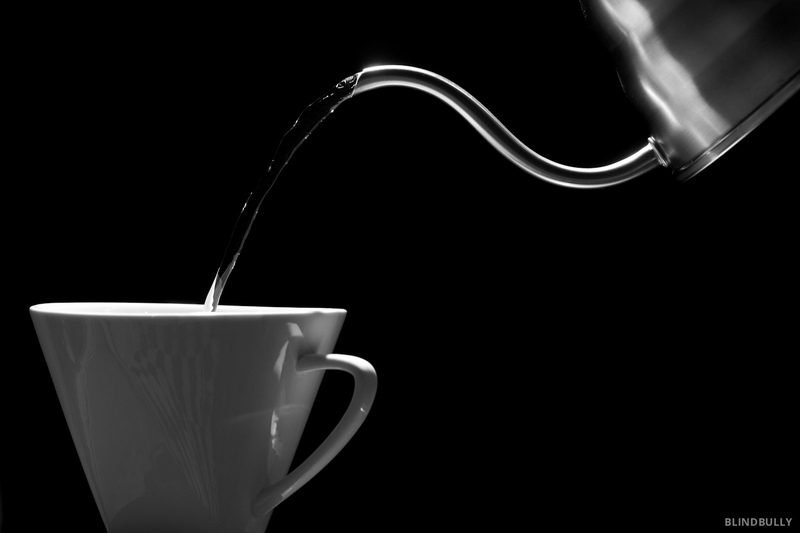 All in all, the Hario Buono is a beautiful kettle for those seeking total control over their brewing pour & process. 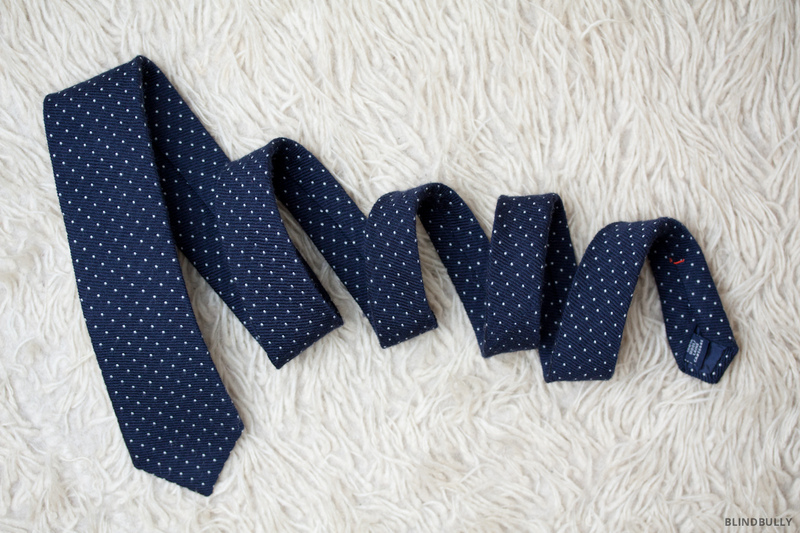 J.Crew Polka Dot Tie in Navy Wool. Purchase. 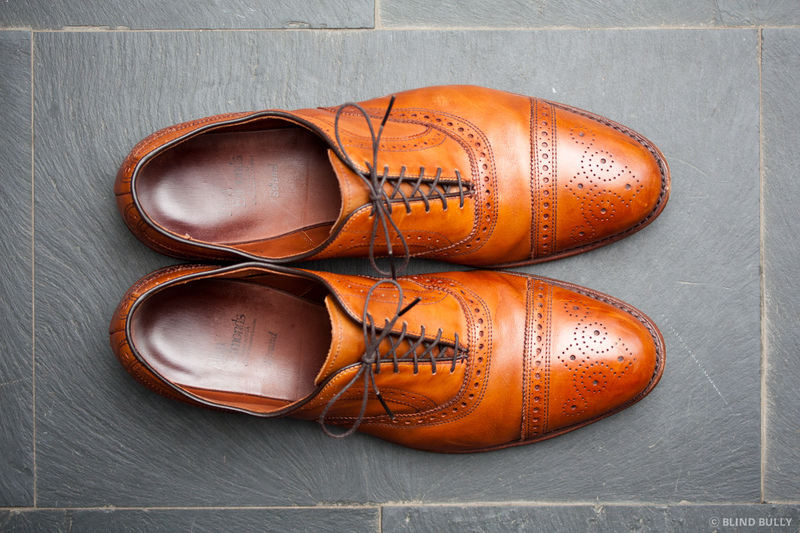 Allen Edmonds Strand Cap-Toe Oxford in Walnut. $325. Purchase locally or online. discomfort. 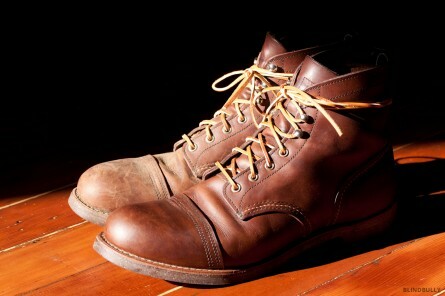 All that and they’re even made here in The States with a durable Goodyear welt. I’ll be holding on to these until I wear through the soles, and even then they’re recraftable. I recommend purchasing at your local store to ensure proper fit, both heel-to-ball and length. 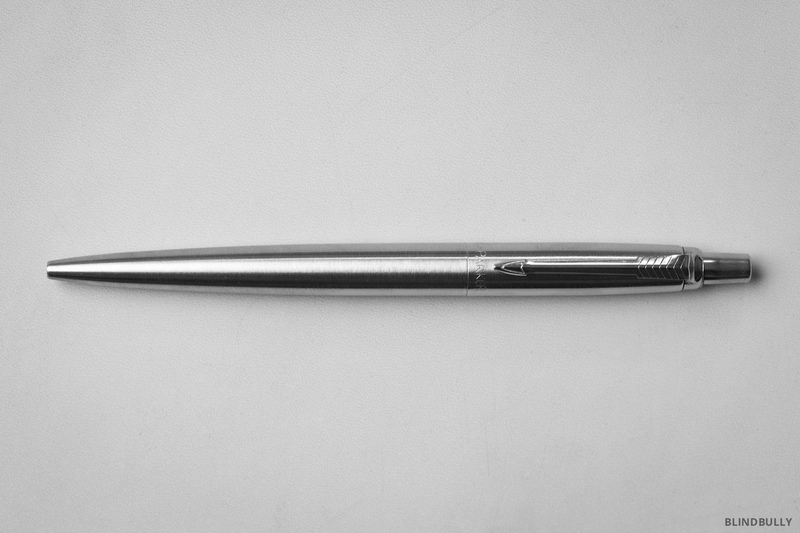 Merkur Model 180 Long Handled Safety Razor. $37. Purchase. 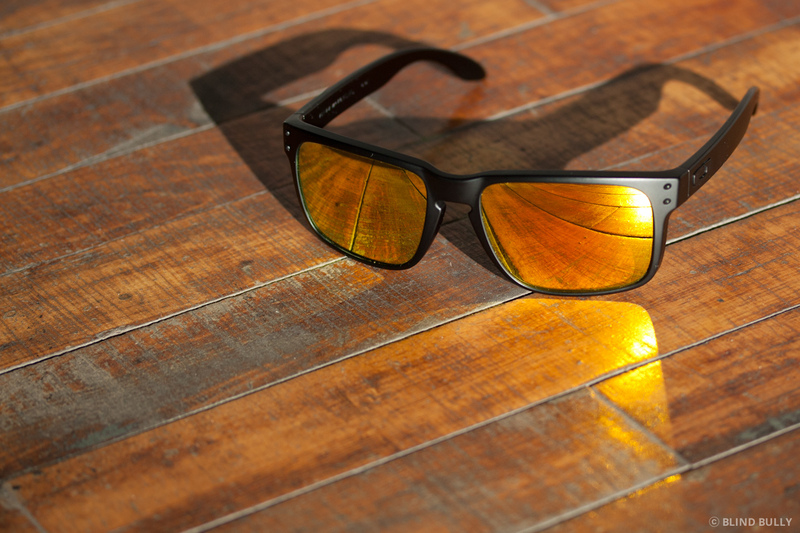 Blade Sample Pack. $20. Purchase. been heralded as primo. 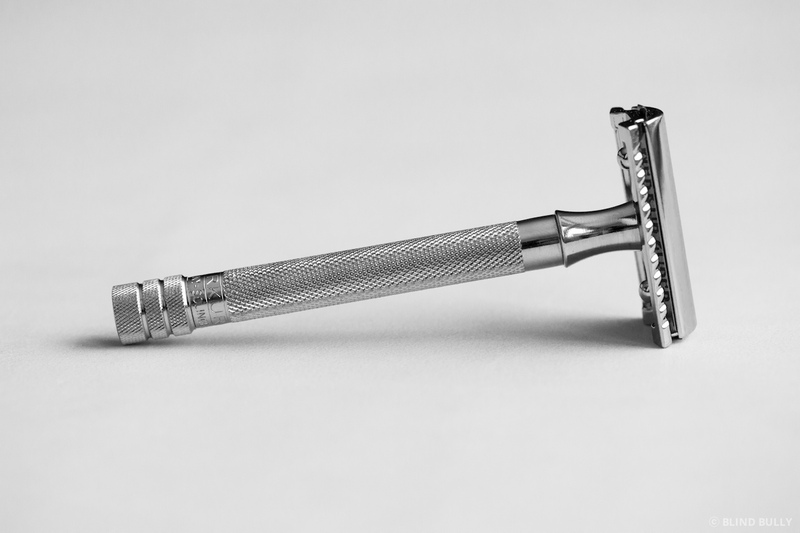 The regular-length-handle version was chosen by The Sweethome as the best safety razor in their extensive testing and the long handled Merkur Model 180 (photographed here) is used by Lex Friedman in his essay The Wet Shave (which, as a side note, is featured in The Magazine: The Book, a collection of the editor’s favorite stories from the first year of The Magazine). 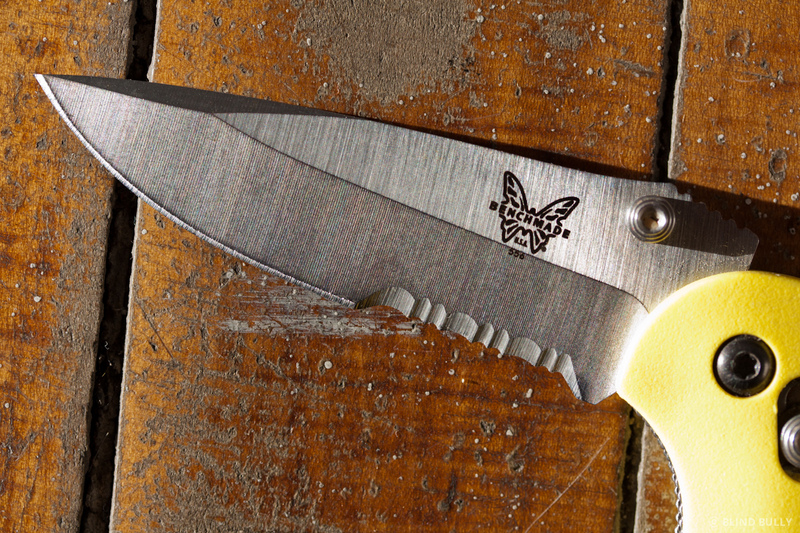 Benchmade Mini Griptilian 556S Mel Pardue Design in Yellow for $95. Purchase. 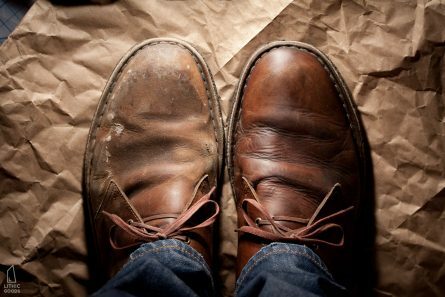 In a world of multipurpose gear I still cherish single-purpose products that are designed with such incredible attention to detail and insight so as to charm me time and again with their thoughtful features. The Benchmade Mini Griptilian is one of these products. I bought the Mini Griptilian as a replacement for my CRKT M16-13, whose locking mechanism broke after I hammered on it with a log while creating tinder for a fire. Admittedly I shouldn’t have been doing this, and knew at the time something bad might happen, as pocket knife 101 certainly includes no hammering and no prying, however, I persisted. Thankfully, in the long run, this turned out to be a blessing in disguise, as it caused me to search for a knife with extreme durability, leading me to Benchmade. 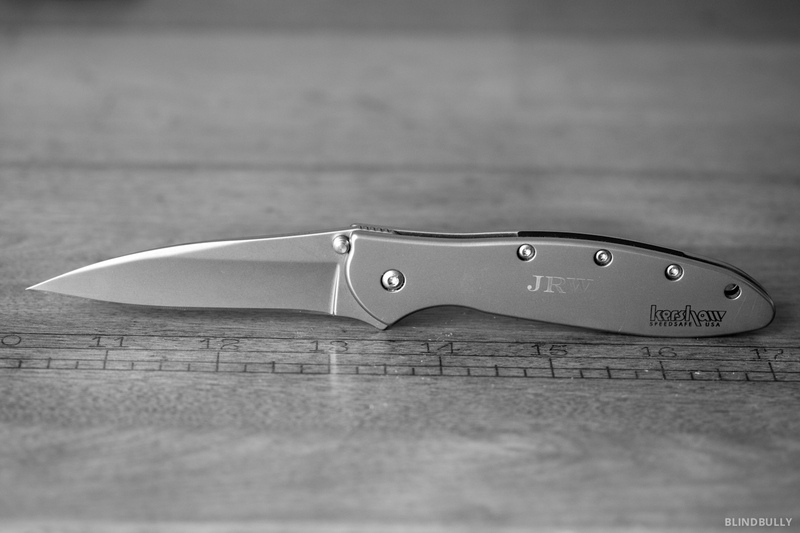 The blade is razor sharp, the opening action incredibly smooth, and the locking mechanism slides into place with ease while doing double duty to provide a small amount of force when the blade is almost closed, snapping it shut; I believe this also helps prevent it from opening in my pocket. Additionally the clip is reversible, allowing me to clip the knife in my pocket with the blade-side facing into the seam, further reducing the chance of accidents. The body is an intense, but not quite neon, yellow, which is excellent if you’re not in the military. 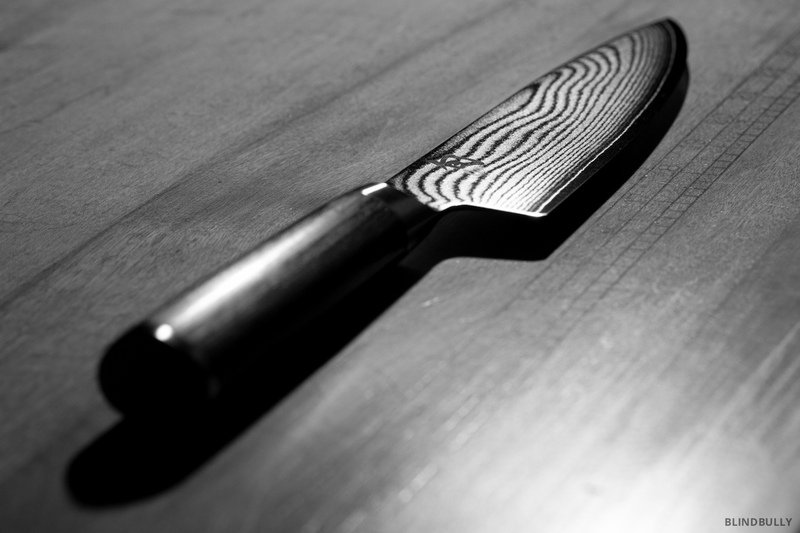 I tend to put tools down distractedly while cooking, which can quickly become problematic in the backcountry when the knife isn’t sitting on a clean countertop, but rather lurking amongst the leaves with an open blade. The handle is made of a glass-impregnated nylon, which combines good strength and abrasion resistance with low weight. I’ve used it to pop bottle caps, while holding it similar to a lighter, and it’s taken a little damage, but only aesthetically. The plastic body is also beneficial while camping in the winter, when it’s difficult or even dangerous to touch metal for any duration. rotated open. This spring is similar to an unstrung bow, which flexes when the ends are pushed towards each other. Eventually, if enough pressure is exerted, a bow or this spring lock will buckle, allowing the knife to bend backwards beyond its designed range of motion. The Mini Griptilian, on the other hand, locks the blade in the open position with two, double shear pins, providing unmatched strength among folding blades. The pin preventing hyperextension is static, while the pin that prevents the knife from closing is part of the sliding AXIS locking mechanism, and thus moves easily with the push of either thumb. All of this combined creates a knife unmatched in the industry: light weight, highly visible, exceptional build quality, a bullet proof and ambidextrous locking mechanism, ergonomic dimensions, a textured thumb pad, and a reversible clip. All designed and made in the USA. Benchmade and Mel Pardue are a great team and have created what I consider to be the best folding pocket knife available.